May 2012, April 2006, April 2004 and May 2001. The 2012 aerial photography is an orthorectified mosaic of true color aerial photos from a May, 2012 flight. The horizontal resolution of the images is 0.15 - meter pixel (6-inch). 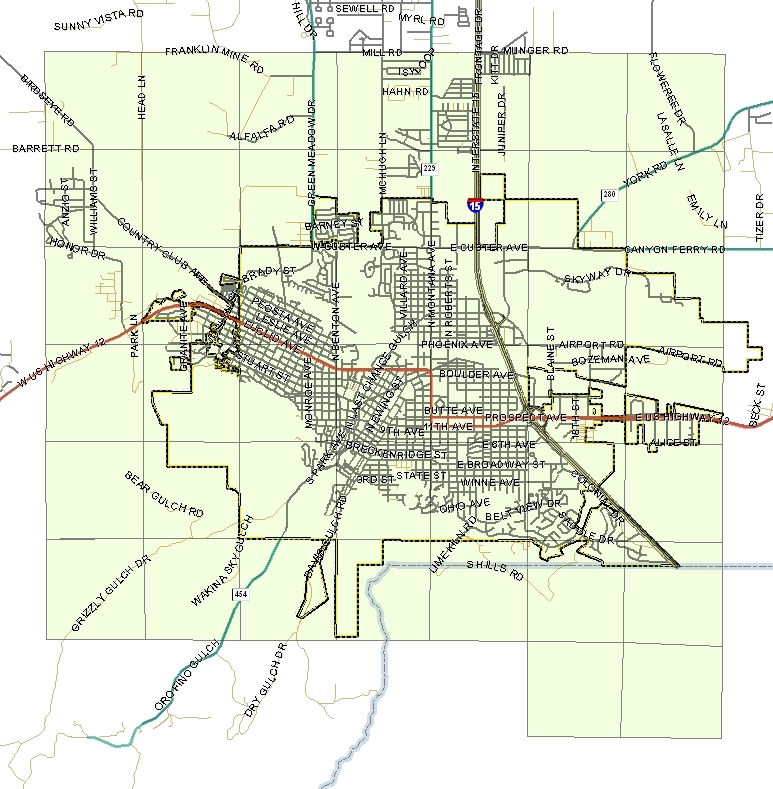 The Sanborn Map Company, Inc., of Colorado Springs , CO collected and prepared the 2012 aerial photography for the Lewis & Clark / City of Helena GIS Services. The 2012 photography are available upon request in geo-referenced TIFF format. The TIFF photos are maintained by quarter section grid tile and are approximately 125 MB per tile. Due to the size of these files, it is recommended that a portable hard-drive be provided to us as part of any request for these images. Planimetric and contour data are available in Esri file-geodatabase format and AutoCAD format by quarter section grid tiles as well. The 2012 photography can be viewed in any of our Interactive map sites by selecting 2012 Esri World Imagery in the map layer table of contents. The 2006 aerial photography is an orthorectified mosaic of true color aerial photos from the April 20, 2006 flight. The horizontal resolution of the images is 0.15 - meter pixel. 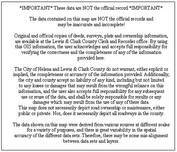 Infotech Enterprises America, Inc., of Sterling, Virginia prepared the 2006 aerial photography for the City of Helena - Lewis and Clark County GIS Services. A copy of the data was presented to the State Library for public distribution. The 2004 aerial photography is an orthorectified mosaic of natural-color aerial photos from the April 26, 2004 flight. The horizontal resolution of the images is one-foot pixels. Surdex Corporation of Saint Louis, Missouri prepared the 2004 aerial photography for the City of Helena - Lewis and Clark County GIS Center, and the U.S. Geological Survey. The GIS Center presented a copy of the data to the State Library as GeoTIFF images in UTM coordinates with a resolution of 0.3 meters. The Library converted the images to State Plane Coordinates and re-sampled the resolution to one foot (0.3048 meters) for public distribution. The 2001 aerial photography covers approximately 100 square miles. Digital ortho-rectified photography and plainimetric data are available for the cities of Helena and East Helena, and parts of the Helena Valley. The photography and planimetrics were mapped at two scales; 1"=100 feet and 1" = 200 feet, depending on area. The planimetrics consist of building footprints, road edges, hydrography, utilities, and contours. The digital data are in Montana State Plane Coordinates NAD83 meters. Planimetric and contour data are available in ArcView shapefile format and AutoCAD rel. 14 format as section (200ft scale -5ft contours) or ¼ section (100 ft scale-2ft contours) tiles. 2001 photography are available upon request in geo-referenced TIFF format and MrSID compressed format (20:1 compression ratio). The uncompressed TIFF photos run approximately 40 MB per photo and may be viewed with any software that can view standard TIFF format. The MrSID compressed files require special software for viewing. To obtain copies of the data on CD, please fill out and submit the data license agreement. The cost is $15.00 per CD.